A 3,500-well gas field planned in sensitive wildlife habitat in the upper Green River Basin is expected to generate an estimated $17.8 billion over 40 years, but for whom? The Bureau of Land Management is preparing to approve the 141,000-acre NPL Field — a certainty given that the federal agency sold oil and gas leases across the sprawling sagebrush landscape starting decades ago. Today, the world’s fourth largest private equity firm — Texas Pacific Group — controls the leases through its affiliate Jonah Energy and has begun selling interests to investors as it touts its reputation for profits based on unique strategies. Sublette County residents who attend the Bondurant Barbecue, the Green River Rendezvous parade, or the Chuckwagon Days July 4 Rodeo know the Jonah name well. 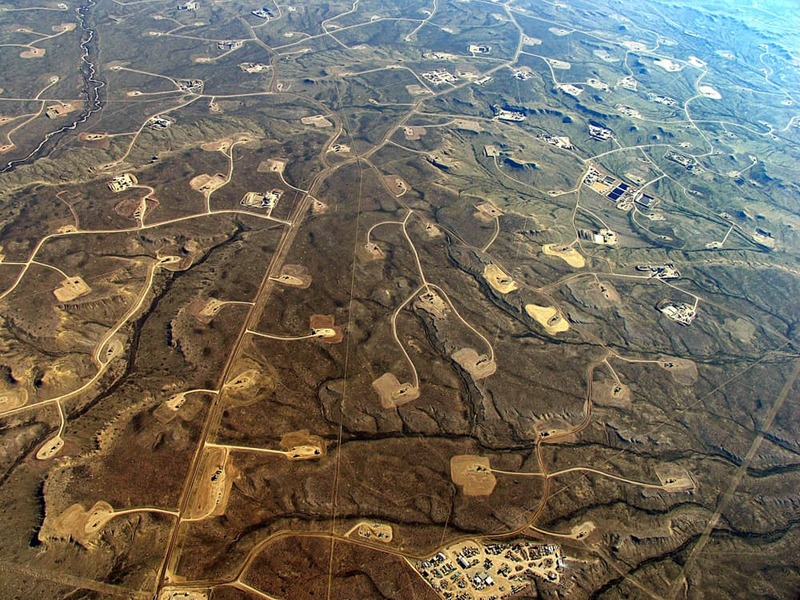 Wyoming wildcatters and fracking innovators the McMurry Oil Company developed the Jonah Field in the early 1990s, discovering reserves estimated at 10.5 trillion cubic feet of natural gas. That’s enough to power the entire nation for almost six months. The Jonah brand endured when Encana Corporation bought the natural gas field, and again when it sold it to TPG, which created Jonah Energy for the 2014 purchase. Claiming $73 billion under management with headquarters in Fort Worth, Texas and 16 offices worldwide, TPG makes money through a dizzying array financial transactions including leveraged buyouts, recapitalizations, spinouts, growth investments, joint ventures and restructurings. TPG’s co-founders got their start in the offices of Robert M. Bass, known to some as one of the “corporate raiders” of the 1980s. TPG raises cash by offering a portion of a fund — unspecified investments that will mature in about a decade — to long-term clients. Private equity firms market their expertise to a variety of investors, including family trusts, pension plans, university endowments, insurance funds, and sovereign-wealth entities like Wyoming itself. TPG invests those commitments where it figures it can more efficiently operate a company, or make other gains, then acts on those strategies before selling for a hopefully higher price. TPG has boasted of internal rates of return three times that of Standard and Poor’s 500 stockmarket index, according to a document “TPG Capital 2015,” obtained by WyoFile. TPG Capital has the “most experienced ops group in the market,” it tells prospective investors. When Encana Corporation decided to move out of Jonah gas holdings, TPG recognized an opportunity. Jonah is Wyoming’s second-largest natural gas field. It has associated neighboring leases and is located in a state friendly to mineral developers. To conservationists, the prospect of a 5.25-trillion-cubic-foot NPL field with 3,500 wells, 227 miles of roads, development in critical greater sage grouse winter range and on the only nationally recognized wildlife migration route is frightening. NPL will industrialize pronghorn winter range and parts of the longest terrestrial animal migration route in the Lower 48 states, Grand Teton National Park warned the BLM in 2011. “Radio collared pronghorn from the park have moved through the NPL project area en route to wintering grounds near Fontanelle [sic] Reservoir and areas further south towards Rock Springs,” a park environmental official wrote in 2011. Conservation of the areas “are essential to the persistence of the park’s pronghorn population,” which numbers about 300-400 animals. “Although pronghorn are currently successful in returning to the park each year there may be a threshold of oil and gas development and activity at which they no longer do so,” the park said. The BLM also predicts disruption after it approves NPL. Pronghorn, and mule deer, “could face permanent displacement from seasonal habitat and disruption of migration routes,” the agency says in its draft environmental study, completed this summer. 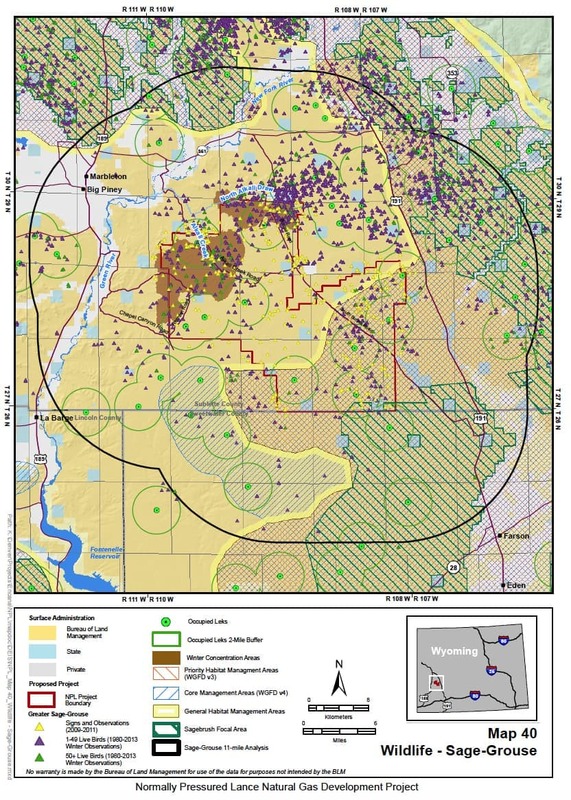 Also unsettling to conservationists is Jonah Energy’s intention to drill in greater sage grouse winter concentration areas, significant habitat that was only discovered in 2005. Biologists twice sought to add much of the winter concentration area — which holds 1,500 to 2,000 wintering grouse — to Wyoming’s protected core-area habitat. But the latest attempt was, in effect, vetoed by an oil and gas representative sitting on a local sage grouse working group. The Green River Basin is rich grouse country in the state, with the largest portion of the imperiled birds and their habitat in the world. The BLM may limit in winter some “disruptive activities,” such as well-pad construction and drilling, Caleb Hiner, BLM Pinedale office field manager, said in an interview. But it didn’t fully analyze barring Jonah Energy completely from grouse winter concentration areas during winter. “These additional protection measures would not be technically or economically feasible,” the agency said in the DEIS. “A decision on how this area will be developed has not been made,” the BLM’s Hiner said. 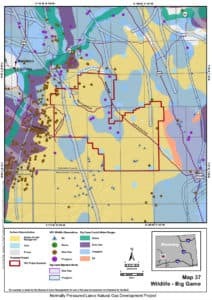 After it closed public comment on its draft environmental impact statement last week, the BLM will consider those comments while seeking “a thoughtful take on how to minimize disturbance on winter concentration areas while still allowing for development of valid existing lease rights,” he said. Audubon’s Rutledge considers the drilling a $17 billion experiment. He hopes a program is developed “so we can pull back when we see we’re having negative effects, and be able to determine what caused negative effects — what are those factors that elicit a negative response from the bird.” But there’s a huge element of uncertainty. Ideally, Jonah Energy would stay away, he said. “I fully hope Jonah will discover a way, if there are reserves under those winter concentration areas, to access them remotely,” Rutledge said. Yet TPG, which courts investors by underscoring the company’s financial and operations acumen, uses Jonah Energy as a poster child of corporate responsibility. It boasts a photo of Jonah’s Paul Ulrich, wearing an “I heart sage grouse” T-shirt with an arm around former Secretary of the Interior Sally Jewell in a corporate report about responsible investing. Jewell famously brokered nationwide grouse conservation plans in 2015 that kept the bird off the list of endangered species. 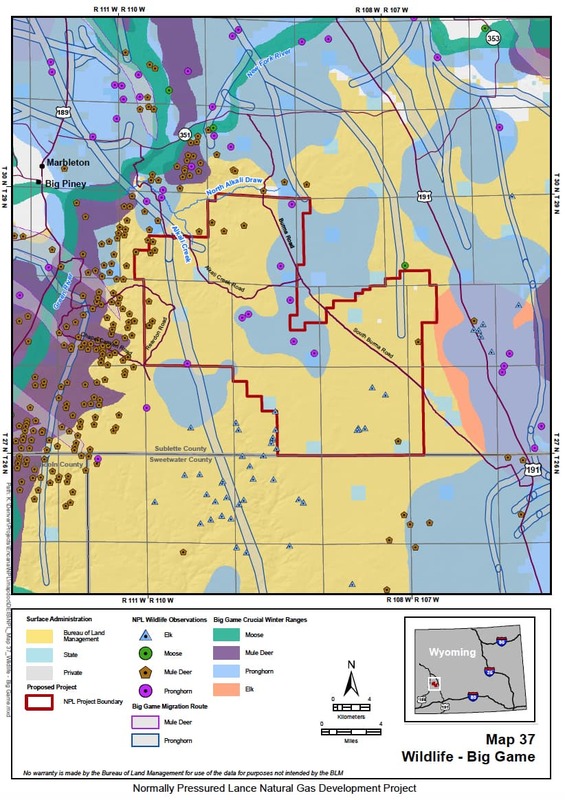 Jonah Energy plans on “disturbing” 6,340 acres, according to the BLM environmental review. It is an area that, if consolidated, would be larger than three miles by three miles. Permanent disturbance would remain across almost 2,000 acres, the equivalent of an area one by three miles. To drive across the 141,000-acre field, either north-south or east-west, you would travel about 18 miles. Up to 11 percent of the landscape would be disturbed by well pads, according to calculations made by Wyofile. In contrast, Wyoming limits disturbance in sage grouse core areas to 5 percent and federal plans in other states call for no more than 3 percent. In grouse wintering areas, the BLM hopes to limit disturbance to that 5 percent, Doug Linn, BLM’s assistant field manager in Pinedale said in an interview. But not all known winter concentration areas are designated for special consideration. Consequently, “wintering Sage-Grouse that use these [other] areas could be displaced year-round,” the BLM says. Gov. Matt Mead, however, recently warned BLM not to exceed its authority. The DEIS appears inconsistent with Wyoming’s core-area strategy because it defines winter habitat and creates new drilling restrictions. “…[T]he Greater sage-grouse falls under the jurisdiction of the State of Wyoming, including the responsibility to define the habitat areas used by the species,” Mead wrote the BLM on Aug. 18 in response to the DEIS. In 2014 TPG put $325 million of investors’ money into Jonah Energy through a platform called TPG Capital, according to documents. The investment was made in its TPG Capital VI fund, one of at least 7 such funds developed since 1992. By 2015 it had invested $46 billion in 169 companies, TPG said in a 29-page description of operations and performance. Its TPG Capital platform pursues “differentiated investment strategy” including traditional buyouts of market-leading franchises where it accelerates execution of existing strategy. It seeks “transformational” investments in a rapidly changing digital world. And it looks for “off-the-beaten-path” opportunities where it usually is a lone bidder buying in at an attractive price. TPG’s gross internal rate of return was 24 percent for TPG Capital versus Standard and Poor’s return of eight percent, the firm said in the description. The TPG VI fund by 2015 had holdings in 67 companies, including the Jonah Energy investment. Also in the portfolio were companies as diverse as Lynda.com, the online tutorial service into which TPG put at least $149 million; and Chobani, the yogurt company in which it invested at least $336 million. TPG has invested $408 million in RentPath as that company turned digital, put money into pharma and healthcare, industrials, and the consumer/retail sector including Neiman Marcus, J. Crew, Burger King, and Petco. TPG disclosed some deals to potential clients as it sought investors in TPG Capital VII, a fund that documents say could reach $8 billion. Such funds operate for a decade or slightly longer. TPG would require investors to pony up in the first half of the fund’s life, then receive returns in the second half of the decade, financial advisors who reviewed the documents explained. Investors understand that TPG takes fees — shown to be on the order of 11 percent — and they are warned in pages of fine print about the risk of investing and that past performance is no guarantee of future profits. The company writes about sustainability, service on nonprofit boards, measurable results, diligence, transparency, investment reviews, self-assessments, international principles, work plans, frameworks and other indicators of corporate responsibility. TPG says it has invested in recycling, raised money for hungry children, fought human trafficking, and was invested in Petco when that company joined 1% for the Planet, donating one percent of gross revenues to environmental causes. TPG is investing in education, launching the Rise Fund with U2 frontman Bono and former eBay president Jeff Skoll, according to ImpactAlpha. That fund invested $120 million into EverFi, an educational startup in Washington, D.C., with $30 million of that investment coming from TPG Growth. TPG co-founder David Bonderman himself is a board member of the Grand Canyon Trust. He’s also attracted attention for reasons other than environmental ones. He resigned from Uber’s board in June after making “disparaging remarks about women,” The New York Times reported. 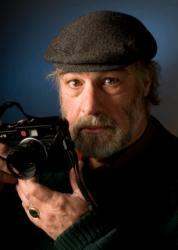 His wealth, including a huge home in the Moab, Utah area, drew satire from the editor of the Canyon Country Zephyr who recommended homeless people occupy the mansion when its owner was absent. As an example, in May, Jonah Energy acted opportunistically during an energy bust and bought 1,200 producing wells, half of them in the Jonah Field, from Linn Energy, according to Reuters. It also got energy rights on 27,000 more acres, all for approximately $580 million after Linn filed for Chapter 11 bankruptcy protection in 2016. The NPL field would benefit more than investors. It would create 954 “development and production jobs,” the BLM says. Some 370 workers would move in, helping boost the regional population by 973 people. Housing in Sublette and Sweetwater counties could accommodate the influx. Drilling would produce $2.2 billion in royalties, half of which would go to Wyoming, over the course of 40 years. Nitrogen deposition is increasing in wilderness areas of Bridger-Teton National Forest’s Wind River Range, a supposedly pristine airshed. “The oxygen levels in the lakes are going down,” Baker said. The change is significant and important for fish and even land-dwellers. The BLM, which closed public comment on the plan last week, will decide whether to approve Jonah Energy’s plan or adopt its own, preferred alternative. The BLM’s own plan would have similar, but slightly fewer, deleterious consequences for wildlife than Jonah’s. The federal agency considered, but rejected as uneconomical, plans to develop the field at lower densities. Gov. Mead wants the BLM to wrap up its decision by the end of the year. Even then the world may not know how much profit-making will occur on the back of public wildlife resources. Many telling decisions will be made only when Jonah Energy applies for permits to drill individual wells. Developing the Normally Pressured Lance would continue a contentious history of regional oil and gas exploration that even saw a 1970s proposal to free trapped gas by detonating nuclear blasts underground. This article has been corrected to say the project would generate $2.2 billion in royalties, not taxes, and to add the proper title of the Upper Green River Alliance, originally called a coalition — Ed. Wyoming wildlife and wild places are definitely experiencing “death by a thousand cuts” and it’s particularly irritating that the motivation behind it all is the lining of corporate coffers. Excellent. In fighting for the upper BT, our citizens organization, stop drilling save the bridger-teton, often referred to the PXP proposal as a little Jonah in the woods. That effort stopped the industrialization of the upper Hoback. The air,water, wildlife and other values were saved and protected by federal legislation. It is clear that public health and safety will be a sacrificial lamb to greed and profits unless the BLM and the state of WY find the courage to challenge this proposal. I once used to think the Green River Basin was sacrosanct. I can’t go there anymore, too depressing. Well written and well researched. The good news is that you have a highly visible very well connected fund conducting energy production in a somewhat pristine environment. There is an opportunity here to engage the TPG in an proactive manner not thru their PR department but thru their production department. Rather then bemoan the inevitable tragedy of the process why not suggest concrete solutions to the problems that the the original Jonah field created, and ask TPG to fix them. Is anyone aware of pro environment and pro energy group that would be able to work on this? Energy production is vital, the preservation of the environment is vital and the two can coexist. Isn’t there another field to be developed up around the Bighorns? It the economic numbers are correct, the $17.8 billion equates to over $2.3 billion in direct severance and ad valorem taxes to the state. This money is used to support education, our many social programs for the needy, as well as the large state and local governments that support your quality of life in Wyoming. We tax minerals in Wyoming! Without projects like this, what tax do you want raised? Add in federal mineral royalties and the local economic stimulus this brings to the area and the economic impact is big. Impact to wildlife is a concern, but developed projects usually bring many extra water sources that help wildlife not hurt it. Thank you for this informative article. To me, the increasing development of the fossil fuel industry in the Green River Basin is distressing. The long term impact to the environment and wildlife is just too devastating. Out of curiosity, do you know if Mead or any of his family members have holdings through or in TPG? What about Trump or any of his extended family investments? I currently live in Maryland but have wanted to move to WY for many years, and although I regularly travel to WY to enjoy the “wide open spaces,” this potential development is causing me to rethink my options. I remember over 30 years ago when the air around Pinedale was clean. I also remember the articles warning of the long term affects of gas and oil development in the early 2000’s. How unfortunate not enough listened to the warnings then … are enough people listening now? thanks for this excellent report. It is so sad that the public land manager (BLM) can’t do anything much to protect wildlife. Sage Grouse and mule deer are already in steep decline, so one wonders how long they will manage.